Although automobile and trucking cases are common, they are often complicated. Each case is different, and only the most experienced attorneys can examine the facts of a case to obtain the maximum recovery a plaintiff in a particular case deserves. Each attorney at Cervantes & Associates possesses vast experience handling vehicle accident personal injury cases. The firm employs every available strategy and has an extensive network of trustworthy and experienced experts who can assist our attorneys with recreating the accident scene and accurately determining the damages sustained. Medical malpractice occurs when a physician or other medical professional fails to act with care or skill when treating a patient. Common types of medical malpractice include: -Incorrect or missed diagnoses -Failure to disclose treatment options -Birth injuries -Medication errors -Errors during surgery, such as leaving foreign objects inside the patient -Dental malpractice Medical malpractice can have a devastating physical, emotional, and financial impact on patients. For successful recovery in a medical malpractice case, you must prove that the doctor acted unreasonably under the circumstances, and that this action or inaction was a direct cause of the injury. Medical malpractice has not occurred simply because a procedure was unsuccessful if the medical professional acted appropriately. Therefore, it is important to hire an honest and experienced attorney who can evaluate your case, consult with experts, and determine the potential value of your case. Shoulder Dystocia: Shoulder dystocia is a birth injury that occurs during delivery. Normally, once the infant's head is delivered, the rest of the body follows smoothly. However, shoulder dystocia occurs when the anterior shoulder becomes caught below the mother's pubic bone. When this occurs, the delivering physician should fist notice the child's face flushing and "turtle sign," which is the protrusion and retraction of the head. If the doctor does not notice the dystocia in time, the child can suffer severe damage to the brachial plexus nerves, which run from the spinal cord through the arms. This could permanently prevent certain uses of the arm, such as extending it and grabbing objects. Shoulder dystocia can also cause bone fractures, Erb's palsy or the partial or complete paralysis of the arm, or fetal asphyxia, which can cause neurological damage or even death. Nursing Home Neglect and Abuse: Nursing home abuse and neglect is common throughout the United States. However, because many elders suffer physical or mental problems and have little friends and family to visit them, many of these cases go unreported. The three main types of abuse are physical abuse, mental abuse, and neglect. Physical abuse includes over-medication, beating, and sexual abuse. Mental abuse, which is often harder to notice, includes yelling, name-calling, insulting, harassing, destroying their valuables, or threatening elders and their loved ones. Neglect occurs when the caregiver fails to provide basic needs, or care, such as food, clothing, supervision, medical care, or shelter. All of these types of abuse and neglect can have a severe mental and physical impact on an elder. Gathering evidence can be difficult, but the medical malpractice attorneys at Cervantes & Associates have extensive experience successfully handling all aspects of nursing home neglect and abuse cases. Personal injury accidents sometimes result in very serious injuries that can cause severe and permanent disability. In these cases, recovery can be greater due to the permanent loss of function or ability, and in some cases, wrongful or accidental death. Traumatic Brain Injuries: Each year, over one million people sustain traumatic brain injuries ("TBI") in the United States, many of them children. TBIs occur when a sudden physical force to the head or excessive shaking causes brain damage. TBIs can be mild and temporary, such as a concussion, more serious and even permanently debilitating, such as amnesia or extended unconsciousness, or even fatal. Paralysis and Spinal Cord Injuries: Spinal cord injury ("SCI") is damage to the spinal cord resulting from a vertebral disease or a blunt force or impact to the neck, back, or spine. When the spinal cord is harmed, the nerves above the place of injury work normally, but the nerves below the injury can become unable to send messages to the brain. This means that the higher on the spinal cord the injury occurs, the more bodily functions are affected. People who suffer SCI typically experience loss of feeling, movement, and/or control over certain bodily functions. In its most severe form, spinal cord injuries can cause paraplegia (impairment of the lower limbs) or tetriplegia (impairment of all four limbs). Amputation: Amputation is the removal of a limb or extremity either by a traumatic event or through a surgical procedure. In addition to extensive initial costs for medical treatment, those who suffer amputation must deal with the permanent physical and emotional impact of permanently losing an arm or leg. As a result, damages in amputation cases can be extensive and these cases require complex damage calculations and experienced attorneys. Burns: Each year, more than one million people require medical attention due to burns in the United States, and thousands die from burns and related infections. Common causes of burn injuries include scalding from hot or boiling water, and explosions of flammable liquids or gases. Burn injuries typically often result from negligence and defective products. Burn injuries damage the skin and, depending on the severity, make the body susceptible to immediate complications such as infection, hypothermia, dehydration, and even damage to internal organs. Burns can also have longer-lasting impact including severe physical and emotional scarring. Seek Experienced Legal Counsel: If you or a loved one has suffered a serious injury in an accident, it is especially important to have legal representation that is highly experienced in handling these complex and difficult cases. The attorneys at Cervantes & Associates have handled numerous personal injury cases throughout Missouri and Illinois involving serious injuries and can assist you in getting the maximum recovery to which you are entitled. Contact Cervantes & Associates today for a free initial consultation regarding your case. Wrongful death cases pose a unique challenge because they typically involve going up against large insurance companies. Sometimes, personal injury incidents are so severe that a person dies because of another person's negligent act. Missouri law and Illinois law both allow the spouse, children, parents, and if none, the siblings of a deceased to sue for recovery in a wrongful death matter. To file a wrongful or accidental death claim in Missouri or Illinois, you must be able to prove that the deceased would have been able to file a personal injury action if he or she had survived. It is helpful to contact an experienced attorney as soon as possible, because Missouri and Illinois laws impose three year and two statutes of limitations, respectively, within which you must file a wrongful death claim. In both states, you may be entitled to recover the following damages and expenses: -Medical and funeral expenses associated with the death -Loss of wages and any other pecuniary losses -The reasonable value of the services, consortium, companionship, comfort, instruction, guidance, counsel, training, and support -Any pain and suffering the deceased suffered before death to the extent he or she was aware of it -recovery of which the deceased might have maintained an action had death not ensued It is important to hire an attorney who understands how insurance companies evaluate wrongful death claims. You need and deserve a lawyer who is not afraid to challenge an insurance company both in settlement negotiations and at trial. Additionally, wrongful death cases are typically time-consuming and involve complex factual situations. Therefore, your lawyer must have both the experience and dedication to aggressively try your case. At the same time, you deserve personal attention and care during the emotionally difficult time of going through a wrongful death case. The attorneys at Cervantes & Associates all have extensive experience handling complex wrongful death cases. Since the firm opened in 1973, its attorneys have successfully recovered extensive damages for clients in a wide variety of wrongful death cases. This experience has given the firm's attorneys a thorough understanding of the impact that suddenly losing a loved one can have. Cervantes & Associates is dedicated to providing professional and competent yet personalized, compassionate, and approachable representation for all of the firm's clients. It is the firm's attorneys' goal to ensure that you are comfortable with them representing your legal rights and interests during this difficult time. If a loved one has died because of another's negligent or wrongful acts, contact Cervantes & Associates today for a free initial consultation so that the firm's attorneys can begin preparing for your case so that you can recover as much as you are legally entitled. 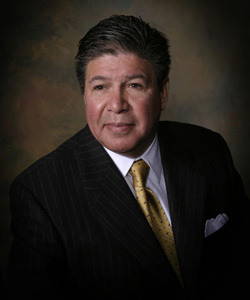 Mr. Cervantes utilizes his 35 years experience as a trial attorney to aggressively represent plaintiffs in personal injury, products liability, medical malpractice, and workers' compensation matters. 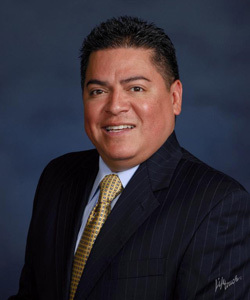 Mr. Cervantes' practice focuses on personal injury, workers' compensation, medical malpractice, products liability, FELA and railroad accident matters, and general litigation. 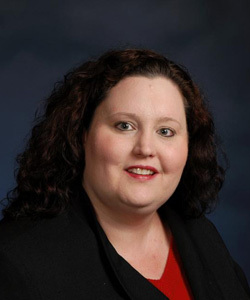 Ms. Suttmoeller focuses her practice on personal injury, products liability, and workers' compensation matters.